Enterprises are continuing to move more applications to the cloud to achieve greater speed, scalability, and cost savings. However, organizations with branch offices need to embrace new approaches to networking, like SD-WAN, in order to deliver consistent, reliable, and high-quality application experiences to their end users. 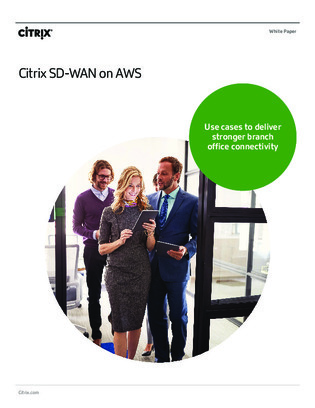 Download this white paper to explore how Citrix SD-WAN on AWS can enable branch offices to connect securely to Amazon Web Services, SaaS applications, public internet, and data centers—from anywhere, anytime—giving them the flexibility to meet their unique business needs.